For this week’s Hack Chat, we’re going to be talking all about High-Speed Data Acquisition. If you’ve ever needed to shove voltages, currents, logic signals, temperature, pressure, or sound into a computer, you’ve used a DAQ. If you’ve ever needed to acquire a signal at a very high speed, you’ve probably paid a lot of money for that piece of equipment. 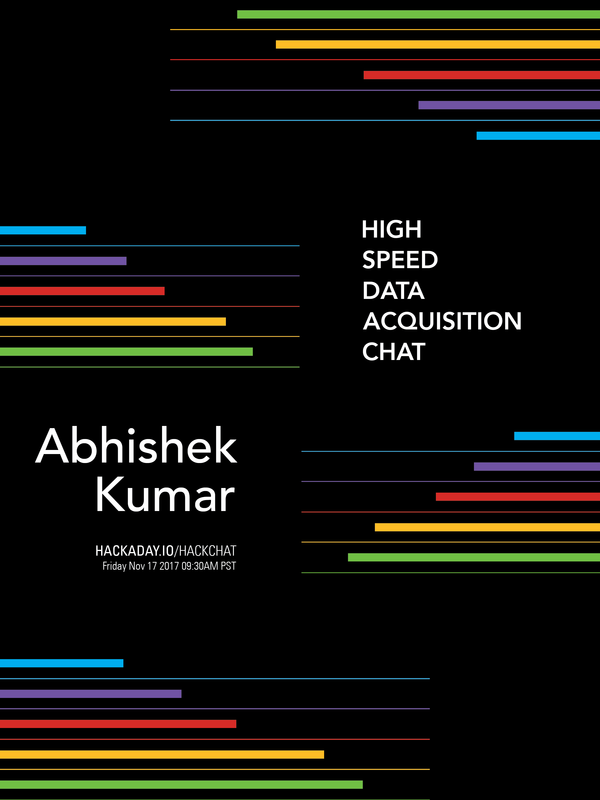 Our guest for this week’s Hack Chat will be [Kumar Abhishek], engineering student, Hackaday Prize finalist, and creator of the very, very cool Beaglelogic, a logic analyzer for the BeagleBone. The interesting bit about the Beaglelogic is its utilization of the Programmable Real-Time Units (PRUs) found in every BeagleBone. These PRUs are basically DMA machines, shuttling bits back and forth between memory and GPIOs. This year, [Kumar] turned the Beaglelogic cape into the Beaglelogic Standalone, a device based on the Octavo Systems OSD3358 (the ‘BeagleBone On A Chip‘) that gives those Saleae logic analyzers a run for their money. Our Hack Chats are live community events on the Hackaday.io Hack Chat group messaging. Usually, our Hack Chats go down at noon, PDT, Friday. This one is different. Because [Kumar] is in India, we’ll be running this Hack Chat at 9:30a PST, Friday, November 17th. What time is that in India, and what time is that where you live? Who cares! Here’s a time zone converter! We’re also looking for new Hack Chat guests! If you’ve built something cool, you’re working on an interesting project, or you’re about to introduce a really cool product, hit us up! Email our wonderful community managers, and we’ll see if we can slot you in.